Former Arsenal star Martin Keown has questioned the abilities of Bernd Leno between the sticks following the Gunners’ embarrassing 5-1 defeat to Liverpool on the road. The Germany international has produced a number of fine performances for the Gunners since taking over the gloves from Petr Cech but his showing was not entirely impressive against the Reds, where he was accountable for a couple of errors including one where he had conceded a corner while trying to pass from the back. 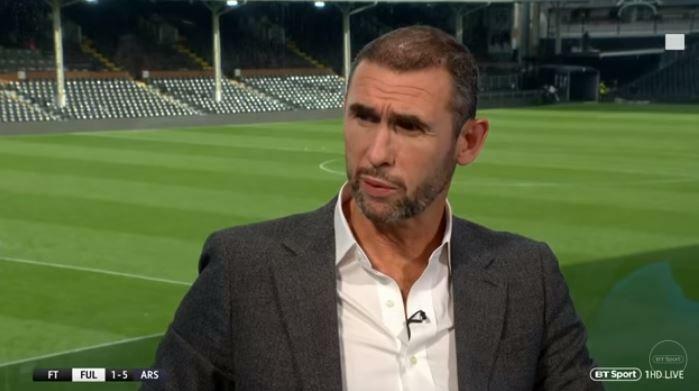 Speaking after the game, Keown was critical about the showing of Leno and highlighted that the keeper does not even make the Germany squad on a regular basis. He added to suggest that Cech could have done a better job than him, although the latter has been out of contention for Premier League duties since September. “Arsenal surprised the Anfield faithful over the weekend after they opened the scoring within the 10th minute of the game“. However, the Reds “thereafter made a stunning“ comeback and they managed to score four goals past the hapless Gunners defence before the half time whistle approached. Following the interval, the Gunners had much more possession of the ball with the Reds preferring to sit back but they nonetheless added to the scoring to complete a convincing 5-1 triumph. With the result, the Gunners have suffered a dent on their top-four ambitions and they are currently playing catch up to Chelsea for the final Champions League spot with a five-point difference between them.